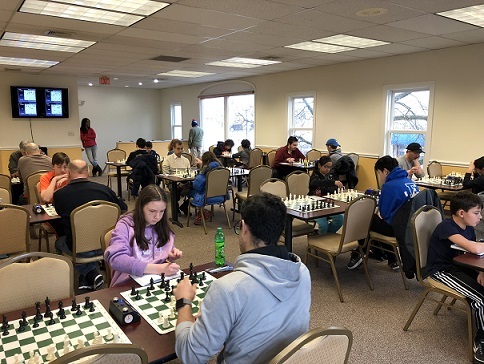 Thirty-four players attended our weekly Saturday G/45 Quads, one of our largest showings yet. 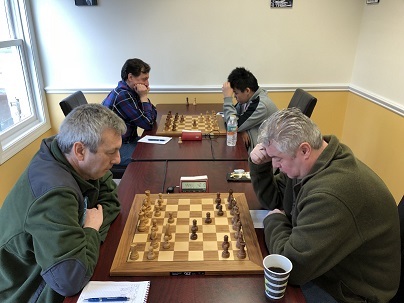 In the very competitive top quad, which consisted exclusively of masters, FM Leif Pressman clinched first with 2.5 points. In the second quad, FM Vincent Tsay, by far the youngest player in the section, took home first, winning two of his games and drawing a third. There was a tie in the third quad; Eugene Ulyanov and Aurelius Mlynar shared victory, both with 2.5 points. Todd Kears had a perfect tournament; he won all his games and placed first in quad four. In quad five, CCFC’s own Evan Helman came out on top. Ramesh Abhiraman continued his success from last week, placing first in quad six. Sandhya Sudarsanam handily won her quad, finishing the day with three points. Finally, in the bottom swiss, Nishant Jain won all of his games and came in first. Thanks to all who came out and we hope to see you all again soon!